In 1985 Thorn EMI and Osram GmbH completed development of their low wattage single ended quartz metal halide lamps and marketed the 150W Arcstream and Powerstar ranges. They were soon joined by 70W models and later a 35W version. It is a market which Philips was relatively slow to enter, and for many years the company sourced its compact metal halide products from competitors. 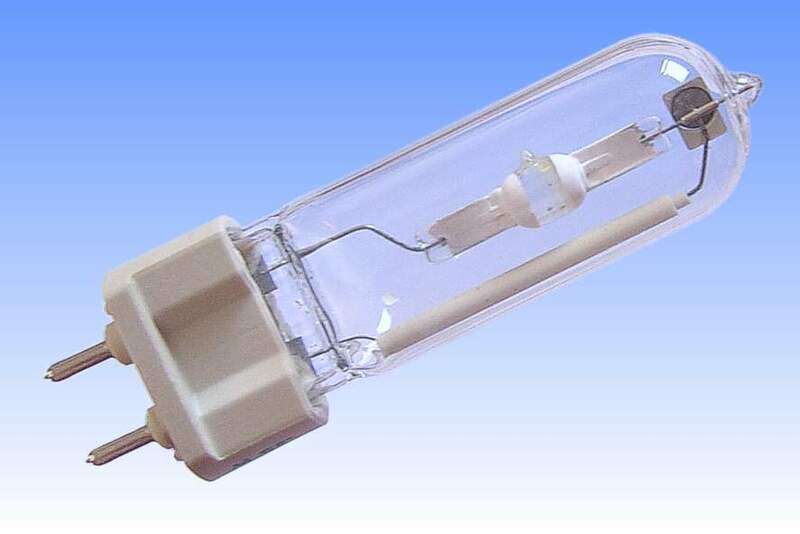 In the early 1990's Philips commenced manufacture of compact quartz metal halides for accent and display lighting, based on rare earth doses for good colour rendering (Dy-Ho-Tm for the MHN neutral-white lamps, and Dy-Tl-Na for the MHW warm-white products). The PG-12 capped MHN-T and double ended MHN-TD were first to market. Several years later this G12 capped MHN-TC was exhibited at 1993's Hannover Wold Light Fair with 35, 70 and 150W ratings but it was never marketed. 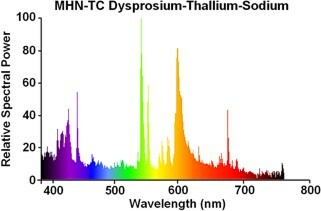 One of the key reasons was its very poor colour stability through life, by comparison with the Thorn and Osram versions having single ended arc tubes. 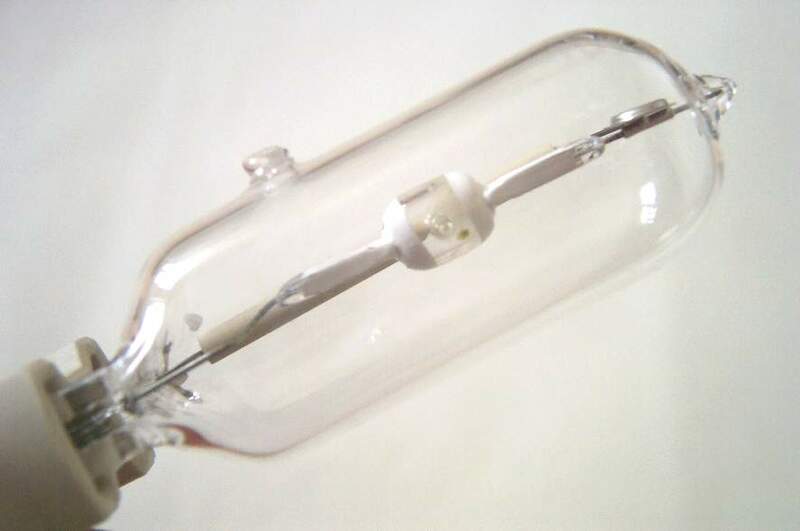 The Philips approach required an electrified frame wire alongside the arc tube, causes sodium loss, despite attempts to insulate it with two steatite ceramic tubes. 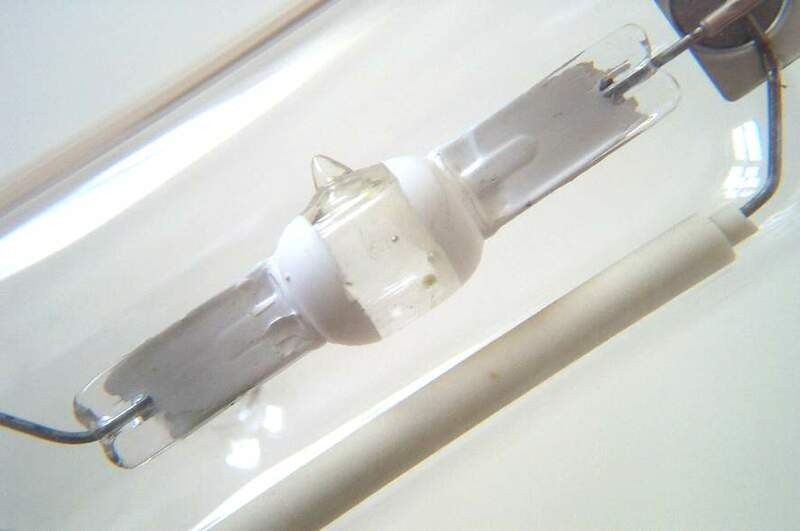 Single ended lamps of this type are really only reliable when a single ended arc tube is also employed, or when there is a quartz shroud around the arc tube to prevent sodium loss, as in Philips' MHN-T lamp. It is intriguing to see that the outer jacket for this lamp still had to be produced on equipment designed for making double ended lamps. Thus, the exhaust tubulation is on the side of the outer bulb, with the upper tip area serving only as a location point for the inner frame. References: 1) Messeschwerpunkte '93 - Philips New Products Hanover Messe World Light Show 1993.